view the graphs, photos, stats, and images on this site. As we warned you in our April newsletter, the PSB began their "Summer Sweep" which caught many visa violators by surprise. 379 FTs were caught via random school visits and checks in Beijing and Shanghai. Our information is that the check will continue through the end of June and resume again in September. 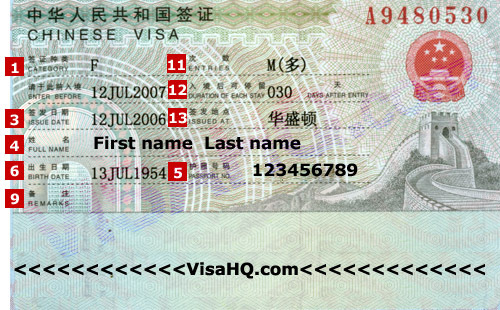 If you do not have a Z visa - get one quick! All 379 were fined (the largest fine was 16,000 yuan!) and 223 received 3-5 reentry bans. 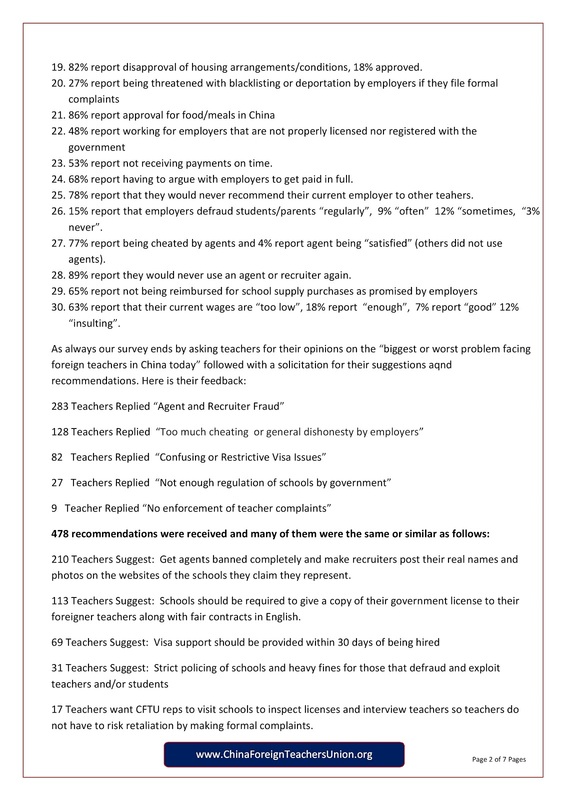 We followed up on a dozen complaints and found most private "learning centers" and schools are deducting taxes from teachers, but not paying the tax authorities! 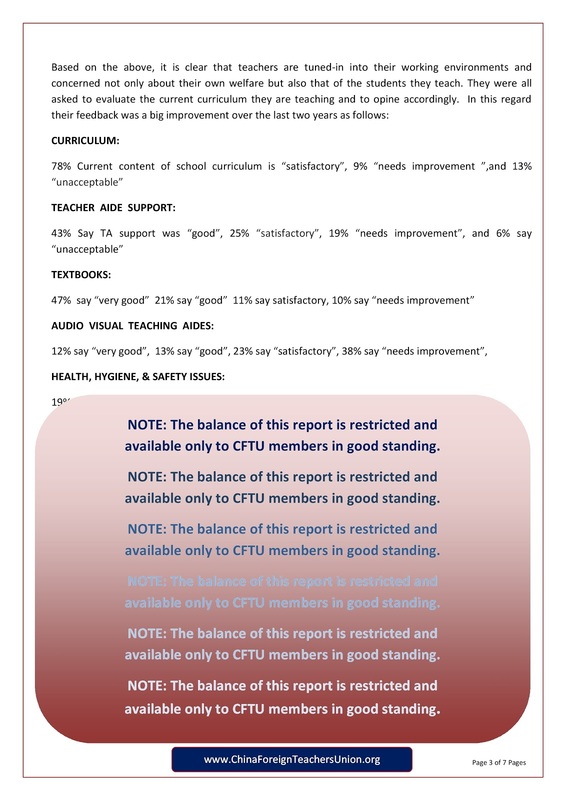 For the details and how to check if you are a victim, visit http://ChinaForeignTeachersUnion.com and scroll down a bit. Thanks for your tips - We can now stop this abuse and YOU can collect more pay, as the schools fear they will be reported to the tax collectors! Other non-members read this blog so be sure to read your newsletter for details. Members are invited to bring friends but please advise them they must pay for their own lunch and not to dress like bums. First impressions are hard to do over! We recently became aware that many agents and recruiters who masquerade as teachers on various expat and ESL/TEFL forums have began bashing and trashing the CFTU which we accept as a badge of honor. By outing the shady and dishonest agents, we have probably reduced their client count and income. Here are some references. The CFTU annual Census was just completed with cooperation of SAFEA which claims the total number of foreign teachers LEGALLY now working in China with an FEC is 27,339. Dur to about 20% of FTs working without a Z Visa, we estimated the real number to be closer to 32,000. Internally we can now confirm our active membership increased to 6,893 as we netted 383 new members from 2013, after losing 239 members whose visa's were not renewed and had to leave (mostly related to visa violations). Christmas Banquet & Party Planned For December 23rd! This year there will be a 50 yuan charge if you want to attend KTV party after dinner. For reservations, details, menu and seating preferences contact Karina in Shanghai or VO43B in Beijing. We are also trying to put together a talent show for the New Year's party so if you have an act that is funny, entertaining, or amazing let's hear from your quick! Happy Holidays! Thanksgiving Dinners Planned For Beijing & Shanghai. All members check your email for details. Volunteers needed to help with Christmas Party. Contact V028B if you can hep out. BTW...Congratulations To Denise On Her Recent Birth! 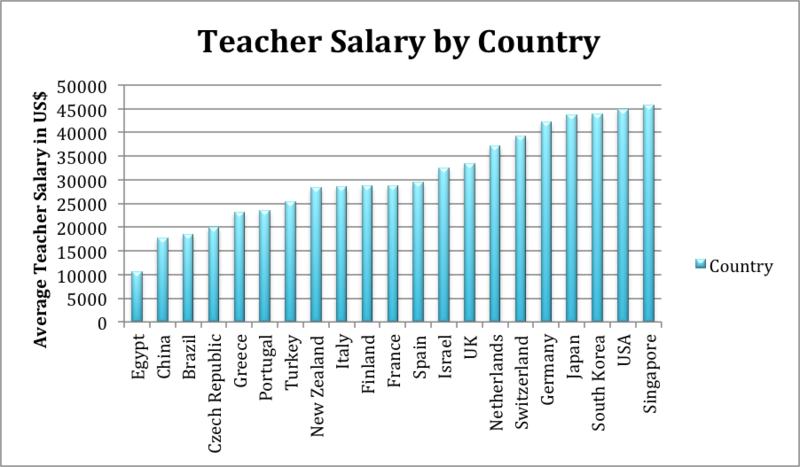 What is the real average salary of a foreign teacher in China? Soon Fragrant Hill will be aflame in red, orange, and golden leaves and we are now organizing a day trip for members and their guests. There will be two groups, 1 going via bus departing from Peking University and the second is a bike hike led by Jeff and Ian. We will have lunch upon the mountain top and two Natural Science professors will join us as guides. If you want to come enjoy Mother Nature with us, contact V0139 before September 10th. We have received numerous inquires about these two companies which are owned by the same company in the U.K. and although we previously assumed they were legitimate, or at least posed no threat to expat teachers in China, we are now getting reports of phony teaching internships being offered. We were sent this link by one of our members so we are now investigating and will report to all member within 30 days. Until then please use extreme caution. They may or may not be legitimate but this post is a bit disturbing: http://www.wallstreetoasis.com/forums/china-internship-fraud-alert-onlineteflcom-and-i-to-i-from-uk TO BE VERY CLEAR - A TEFL CERTIFICATE IS NOT REQUIRED TO TEACH IN CHINA! Calling all Texas Hold Em and Chinese Poker Players! Paul has agreed to host a bi-weekly poker party for our members in Beijing. Contact him directly (V067B) for details. Also our annual Tennis Tournament is now being planned. If you want to participate, contact V019B for details. We're looking for a cool weekend forecast. Top three winners get trophies, 500 yuan KTV coupons, Dinner for two at Bellagio, and bragging rights for a year! Sam went back to the states so you all have a chance this year. Come give it a go! Sing your heart out this weekend and win $500. Contests set up for Shanghai and Beijing. Contact V037S or V089Bfor details. We rented a bus and have room for 8 more people for our Weihai trip later this month. Come see one of China's cleanest cities and enjoy a clean beach! We leave Friday after work come back Monday morning. Contact V029B for details ASAP. Don't get violent in China or you will end up like this foreign teacher - one year behind Chinese bars! Do not accept any teaching jobs in China until a Z Visa is provided to you before your arrival in China! "Due to a delayed response from Shane English, we only now discovered that they are no longer affiliated with the Wenzhou School involved in this fiasco, even though this school continues to use the Shane name in their sales pitch and brochures. Unfortunately this happens in China where "cooperation" is common and reputable foreign companies allow local Chinese partners to us either good name. We regret that the email contact addresses found on the internet for Shane were not still in service as we mistook their lack of a reply as indifference. To be clear, Shane English is no longer affiliated with Pingyang Quishi School of Wenzhou whose principal is selling release letters to their foreign teachers. The U.K. teacher who made the complaint online here on our website has still not received his release letter as required by law." Any organization with this sort of problem should provide consultation from the experts. They should determine the right market value of these teachers, and I bet it has to be high since they are dealing with educators. I am from Bangladesh. English isn't my native tongue, however, I am confident that my english is as good and fluent as anyone from a native-English country. The reason for such confidence, comes from my education background and from my life experience while living abroad. I have studied in English-medium schools since childhood and have completed my O'Levels and A'levels. After finishing my high school, I continued pursuing my studies in Australia and have an Advanced Diploma in Civil Engineering from TAFE. I have lived 8 years in Australia and just recently moved back to Bangladesh. I am really keen to teach english while exploring a new culture and country. However, after doing a bit of research about teaching English in Asian countries I have become a bit fazed and jaded about my chances of securing a job. As, most institutions seem like they want teachers from only native English speaking countries, not to mention the fact that you have to be white-skinned and blue-eyed. I don't mind getting a TEFL certificate, if it guarantees a job for me. But I don't want to waste my precious time and money getting a certificate if closed doors remain closed for a guy like me. So I would really appreciate it if you could get me a job in China or at least show me a way where I can get one. If you think I am the right man for a job, I will attach my resume. Click China Cultural Exchange Co.,Ltd. I want to know if these two agents are legit or not. I was hoping the good people over here could help me out. 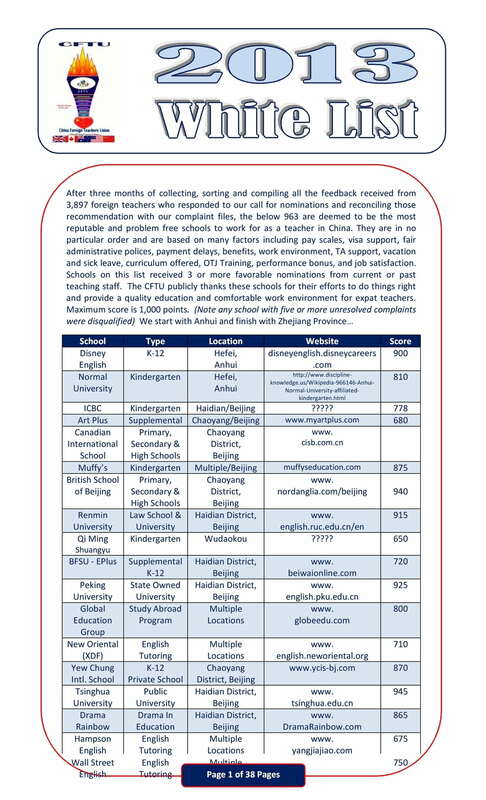 Hello China Foreign Teachers Union! Article 43 China Labor Law states, "When an employer is to terminate an employment contract unilaterally, it shall give the Trade Union advance notice of reason therefore. If the employer violates laws, administrative statutes or the employment contract, the Trade Union has the right to demand that the employer rectify the matter. The employer shall study the Trade Union's opinions and notify the Trade Union in writing as to the outcome of its handling of the matter." What I need to know is the Teachers Union registered, operating, and recognized my the Chinese government as a legal entity? If so, who would be the contact and what address should be used? Be aware and beware of anyone who offers you a full time teaching job for less than 10,000 yuan per month in Beijing, Shanghai, or any major Chinese city. Only Universities pay less than this and they including a furnished apartment for you. It is a business not a school. Many students are leaving and there is no support for foreign teacher. Messages ans emails will go unanswered or if they are answered it will have nothing to do with what you asked. There are little to no resources for foreign teachers and the Chinese teachers run the school. The principals in all of the schools cannot be trusted, they will laugh in your face and stab you in the back then try to place the blame on you or someone else. PLEASE be careful if you do decide to go. Over 100 teachers and admin left last year. More are leaving, beware of these people.